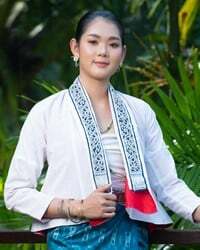 Overview: The Thai people are the main ethnic group of Thailand and part of the larger Tai ethnolinguistic family of Southeast Asia. The Thai languages (Central, Northeastern, Northern, and Southern), are all classified within the Kam-Tai branch of Tai-Kadai. Theravada Buddhism is the primary religion of most Thai people, but sizeable subgroups of Sunni Muslims are found throughout Thailand.